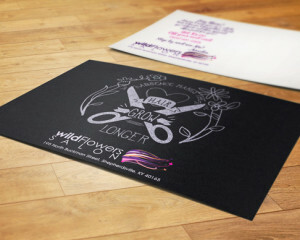 Amilia started Wildflowers in 2010. Since then it has grown to be much more than just another local salon. It’s become the place where friends meet up, stories are shared, and clients leave with a confidence of a great look. When she was looking for a logo design to present this idea to people who knew nothing about her business she knew it would need to be professional looking with a wild side. Her clients range from children to older folks, rich, poor, everyone. You want a great look for a great price in a fun place this is where your going to get it. If you want a wild style or the latest trend, you’re going to get that here too. We looked at several different ideas and eventually landed on one that has really grown on people over the past 6 years. While the shop is small, It’s easily one of the most recognizable logo’s in Shepherdsville. The logo had to be more than just about hair, it had to be about style and fun. Something people probably don’t realize when they are looking at the logo is that they are actually looking at face they probably have seen somewhere else. The silhouette of the face is actually referenced from images of Natalie Portman. Off of the silhouette comes wild lines of streaming hair that becomes the stems of flowers, with pedals and buds springing from them. I put no boundaries on what we create, for Wildflowers especially. Any creative that leaves her shop has to disrupt the the recipient’s notion of what a hair salon really is. Each piece that leaves the shop to bring in another customer has a bit of Amilia’s charm embedded in it. It’s honest and unique, something you don’t get from a chain salon or an uptight “members only” type of salon. This is what people want, something personal that they connect with. A brand is feeling more than anything else. In 2010 most small businesses in small towns where just catching on to the power of Facebook. 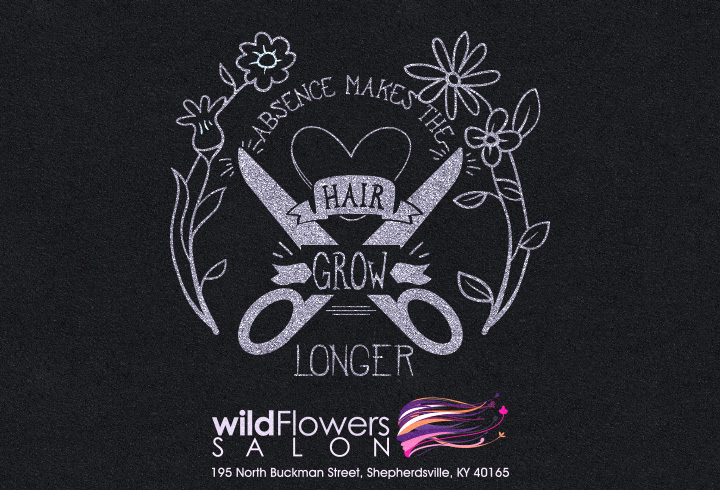 WildFlowers started and continues to use Facebook as a way to connect with clients and friends. 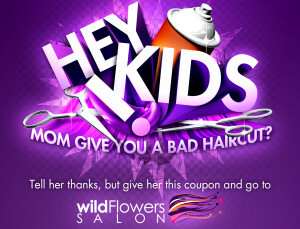 Customers share hair style pics their friends using #WildFlowersSalon and find out about special offers. 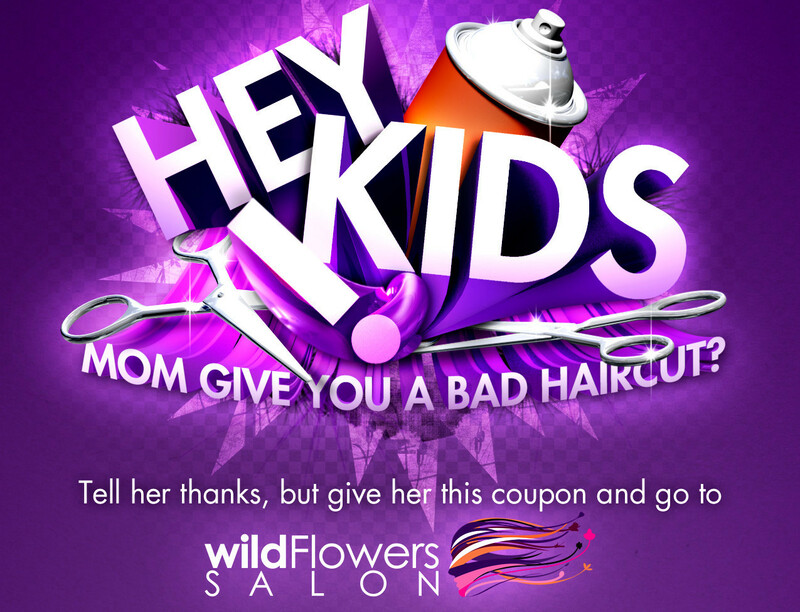 While a new even more improved website is in the works the current site at wildflowers-salon.com offer’s clients a way to leave a message about their experience and book their next appointment. Interested in writing your own Brand Story? Let’s have a coffee and talk about it.